Planning a visit to China’s largest city, Shanghai? From incredible historic sites through to beautiful gardens and incredible museums, you’ll find so much to see, experience and discover across the city. If you’d love to find out what makes this city so special, check out our picks of the top thing to do in Shanghai and start creating your own travel itinerary! Founded in 1952 and reopening in its current location in 1996, the Shanghai Museum features a large collection of ancient Chinese art, with more than 120,000 individual pieces currently in its care. Housing three exhibition halls and eleven permanent galleries, everything from ceramics, calligraphy, sculptures and furniture through to coins, paintings and Chinese seals, are on show in the museum, allowing you to encounter and learn more about the country’s fascinating artistic heritage. Covering a total area of 39,200 ㎡, it’s easy to spend the best part of a day exploring the museum, which also happens to be considered among the country’s best. Shanghai Museum, Shanghai, China. Image Credit: David Stanley / CC by 2.0. The only surviving Ming Dynasty garden in the city, Yu Garden (also known as Yuyuan Garden) is the perfect place to head if you’re in search of a moment or two of tranquility in bustling Shanghai. Completed in 1577, the garden encompasses an area of around two hectares and features decorative ponds, rockeries, pavilions, bridges, clay sculptures and other ornate structures. While there is so much to see throughout the garden, some of the most popular attractions include the Great Rockery (positioned at the entrance of the garden), the Zigzag Bridge (an 18 metre long bridge constructed from granite and jade) and the Exquisite Jade Rock (one of Shanghai’s most famous stones). Yu Garden, Shanghai, China. Image Credit: Jakub Hulun / CC by SA 2.0. A waterfront promenade located in central Shanghai, The Bund is a fascinating part of the city that offers an insight into the city’s heritage through its impressive assortment of colonial-era buildings. Constructed in a variety of architectural styles, including Gothic, Romanesque, Baroque and neoclassical, the riverside buildings were once home to banks and consulates from around the world, but now primarily serve as a reminder of when this part of the city operated as a British and American settlement. Situated on the banks of Huangpu River, a stroll along The Bund provides a great opportunity to admire the architecture and soak up the sights of the Pudong area. The Bund, Shanghai, China. Image Credit: Dan Lundberg / CC by SA 2.0. Standing at an imposing 468 metres above street level, the Oriental Pearl Tower is not only one of Shanghai’s most distinctive buildings, but it is also the fifth tallest tower of its kind in the world. Home to 15 different observation platforms, the tower offers some of the city’s best views, with the line of sight extending from central Shanghai through to the surrounding area. In addition to its observation platforms, the tower also features a revolving restaurant, which serves up a delicious buffet of international cuisines and even better views of the city below. Oriental Pearl Tower, Shanghai, China. The largest and oldest Buddhist temple in Shanghai, Longhua Temple is an ornate and historic religious site that is well worth adding to any itinerary. Encompassing the Longhua Temple and its five halls, as well as bell towers, a drum tower and the seven storey Longhua Pagoda, the complex is both expansive and nothing short of breathtaking. If you plan to visit the complex, be sure to set aside time to explore each of the temple’s five halls, which house dozens of spectacular statues of important figures from the Buddhist faith. Longhua Temple, Shanghai, China. Image Credit: Rolfmueller / CC by SA 3.0. The city’s main shopping street, Shanghai’s Nanjing Road is the place to head if you enjoy a touch of retail therapy. Stretching 5.5 km west of The Bund, it is the world’s longest shopping district and is home to a variety of department stores, shopping malls, specialty retailers, eateries and more. From luxury retailers, including Louis Vuitton, Prada and Fendi, through to budget friendly stores, such as H&M and Uniqlo, and businesses that have been in operation for generations, the shopping experience along Nanjing Road is diverse, varied and accessible to almost every budget. Nanjing Road, Shanghai, China. Image Credit: Mgmoscatello / CC by SA 3.0. 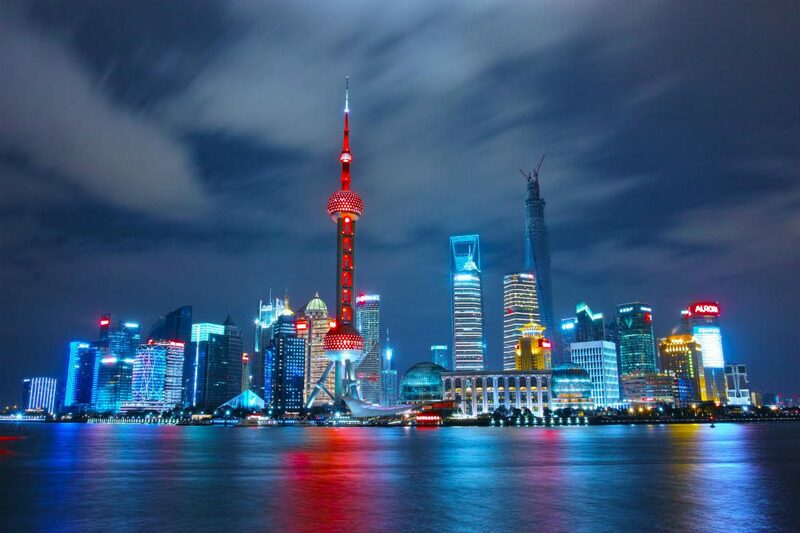 Ready to discover the beauty and rich heritage of Shanghai? Book your spot on a China tour from Webjet Exclusives today!